Flags were flying and banners waving at the WIVK appreciation concert for members of the Tennessee National Guard and their families. The 278th unit is being mobilized for active duty and many local soldiers will be deployed. 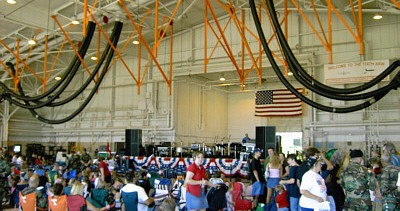 The private concert, held in one of the aircraft hangers of the Tennessee Air National Guard's 134th Air Refueling Wing, was sponsored and organized by WIVK-FM radio to show support for the troops and their families. 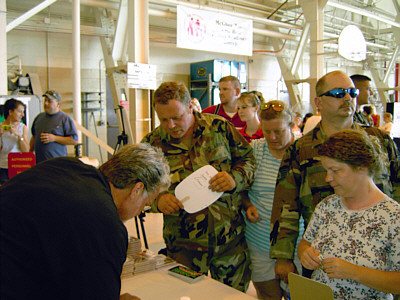 Patriotic WIVK radio personality Gunner, who spent a month in Iraq earlier this year covering local troops serving with the 489th Civil Affairs Battalion, emceed the event. 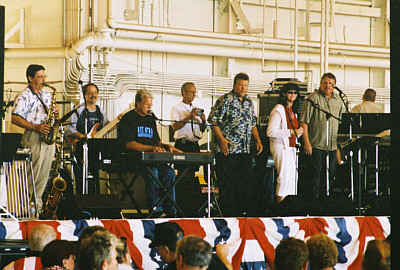 Con and the band, performed an upbeat set, closing with "America the Beautiful," and the crowd of over 2000 soldiers and families rose to their feet and sang along. 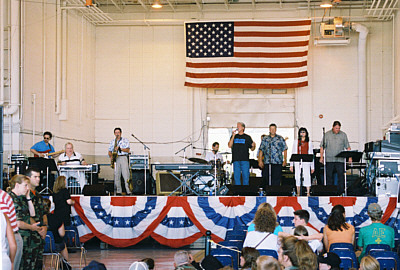 Other country artists, including Carly Goodwin, Wade Hayes, the Hunley Brothers and Ruth, and WIVK's own Colleen Addair, also performed for the appreciative crowd of military families. 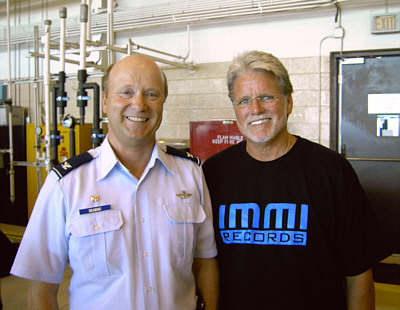 Colonel Deering, Commander of the 134th Refueling Wing, stops to chat with Con before the concert. Con and the band were really having a great time performing. 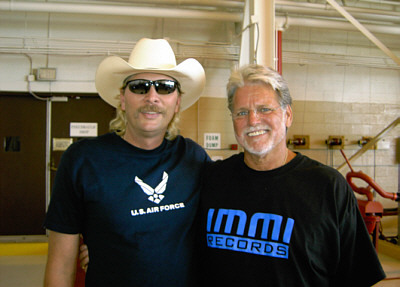 Con is a former soldier himself, having served in the Air Force during the Vietnam War. He told the soldiers "I've been a G.I. and I know how it feels to leave home for active duty." He added, "I'm very pleased, honored and privileged to be here with you today. My heart and soul will be with you on your travels to Iraq and wherever you may go. I want you to know we're behind you one hundred percent." 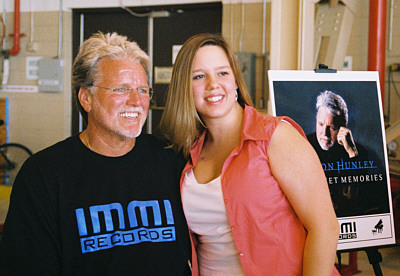 After the concert, Con posed for pictures with fans. 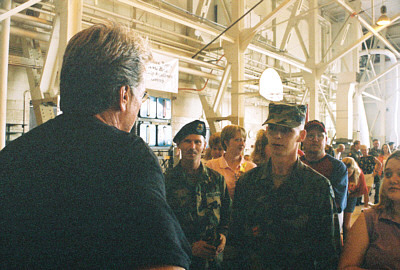 Con signed autographs and talked with soldiers and families until everybody had a chance to meet him. 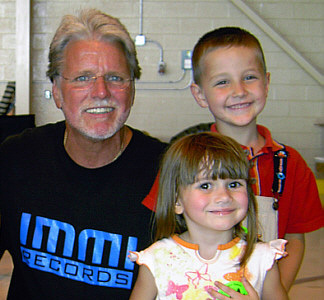 These little cuties were tickled to death to get their picture made with Con. Con really enjoyed talking with the soliders and meeting their families. A patriotic IMMI team felt honored to participate in this event.